It’s no secret that I’m a Mom who loves the routine when my girls go back to school, there may have been a few celebrations here in my home this week as my ears recover from the incessant chatter which accompanies our summer. With school however, comes the responsibility of making daily lunches here. This shouldn’t be a big deal right?? Why doesn’t anyone tell you what a thankless job it is? Over the years I’ve spent time researching fun, creative, healthy ideas….nicking my hand with a knife on too many occasions as I cut my children’s sandwiches into fun shapes only to hear complaints at the end of the day because something wasn’t delicious. I don’t remember being this picky when I was a child, we had brown paper sacks with soggy mock ham sandwiches and chewed on without a word….or so my memory would lead me to believe. Y es it’s true, I waved that white flag and admitted defeat. Last year I took the easy way out and purchased pre-prepared choices, oodles of packages of little “real fruit” treats and cheese strings left the house and were happily enjoyed by my offspring. The complaints lessened and the left overs diminished right along with them. One would think that I’d sit back happily, knowing that their bellies were full and their opinion of Mom was high but it ate at me. So much so that my husband and I did some research and this year we’ve baked a ton of healthy, honestly delicious treats for the first few weeks of school. We have given up white breads and found an alternative which is the perfect choice! Dempster’s has relaunched their bagels with new recipes, they offer 16 varieties which keep both of our girls happy. In the past I’ve avoided bagels because I thought they were a heavy choice of little nutritional value. No so Julie, the new line of bagels are not only delicious but packed with premium ingredients. The Everything Bagel is our favorite, it toasts crispy on the outside and soft on the inside each time. The girls love bagels in their lunches and I’m satisfied that the nutritional value meets my new requirements, the only issue is that they will ONLY eat Dempster’s bagels now….sigh, I’ll count it as success. If you’re looking for a school lunch that your kids will enjoy check out Dempster’s bagels as a choice, they have FAB recipes on their website to help and share on the Dempster’s Facebook Page regularly. 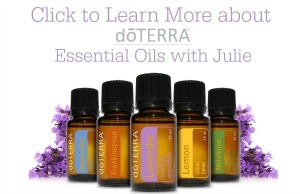 Disclosure: I received free product coupons to allow me to purchase the products for this review. All opinions expressed are my own. 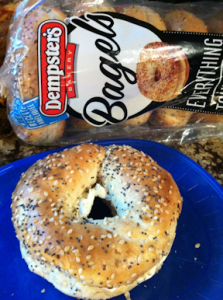 mmm – I love dempsters bagels! Hi! I love Dempsters products. I think the difference is that when I was little I came home every lunch and ate whatever was ready for me. Usually that was soup. I did not care as long as I got a break and watched tv. I love Dempsters and used to take a bagel and cream cheese every.single.day in high school. I didn’t know about all the creative possibilities that there are today. Thanks for sharing. Those everything bagels are my favourite Dempster’s ones too! I probably eat more bagels than I should but I love them!! Good for you in getting healthier stuff for your kids, it’s not easy to keep up with, that’s for sure. I’ve somehow never thought of bagels for sack lunches. And I’m pretty certain my girl would love it. Thanks for the grand idea. Oh thanks for the reminder! My kids wanted me to pick up bagels (they hate sandwiches day after day) and cream cheese…. off to the store I go!